A great alternative to confetti and makes for some fabulous photos. Traditionally used outside the church, have your guests and your bridal party blow lots of bubbles and let your photographer capture the magic. 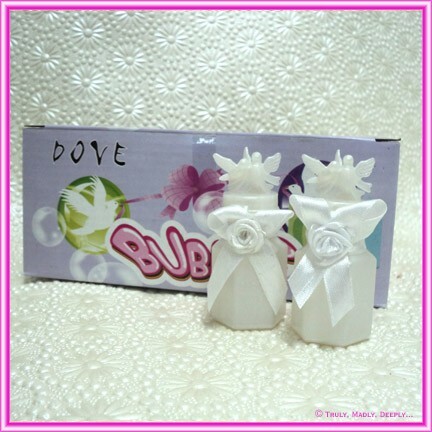 These are the premium wedding bubbles which in addition to being non toxic, they are importantly anti-stain. Anti-staining means the bride and her bridesmaids need not worry about yellow spots being left on their dresses like a cheaper bubble might. NOTE : Bubbles may ship in a box that is different to that pictured, depending on supplier stocks. The bubbles are the same.